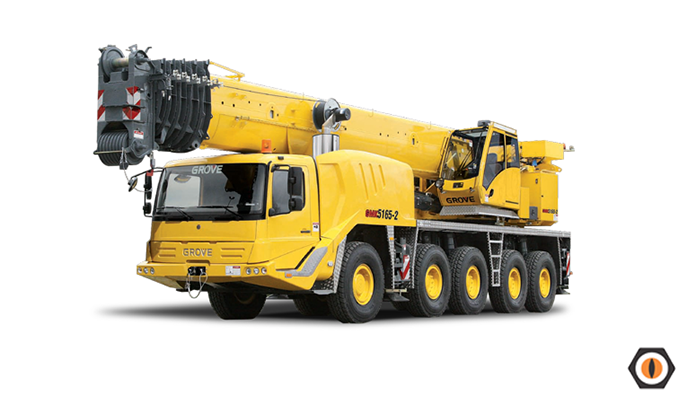 For mobile crane hire, the Grove is an all-rounder. This crane has 40t of counterweight plus 60m of main boom and a 18m swing away fly plus an additional 14m insert available, giving a dominant working radius. This crane can do it all – an expert when lifting and rotating pre-cast panels, almost a waste erecting structural steel, general lifting is easy. Telescopic main boom - length 60 metres.